This Is The Most Amazing Plant In The World! I Can’t Believe What It Just Did! 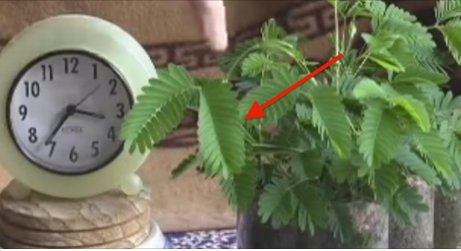 The Mimosa Pudica, known as the “Sensitive Plant” is one of the most interesting plants I’ve ever seen! Before we jump to the video, let’s learn some facts. Mimosa Pudica has a wide use in the medicine. Its pulped leaves are used in India on glandular swellings, or onto people suffering pains in their body sides and kidneys. In Senegal, people use the leaves for lumbago and nephritis. The whole plant have been used to fight glandular tumors and uterine cancer. In India, people apply the leaf-sap for sinus disorders, and they rub it onto sores and piles. People all over the world also use it to treat sleep disorders, since it is believed that the plant has calming properties and it is sleep-inducing. Mimosa Puica has also been used for treating dysentery, urinary complaints and snake-bites. M. pudica is also used in some areas as ground cover to prevent soil erosion. Nevertheless, what this plant does is amazing! When you touch it, with lots of force, or just with a little finger poke, the plant moves out of the way immediately, like it’s scared or shy. It just makes you look at nature in such a different way. What if plants were more intelligent than we actually think? Have you ever seen anything quite like this before in your life? I know I haven’t! How awesome is that?! Would you like to have one in your home ?